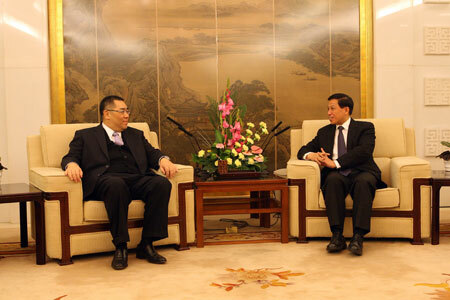 On December 18, 2013, Vice Foreign Minister Zhang Yesui met with Fernando Chui Sai On, Chief Executive of Macao Special Administrative Region (SAR). 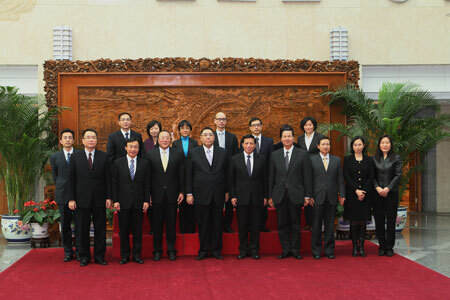 The two sides exchanged views mainly on the diplomatic work related to Macao, especially issues such as Macao SAR's hosting of the Asia-Pacific Economic Cooperation (APEC) Tourism Ministerial Meeting (TMM) in 2014. Fernando Chui Sai On extended thanks to the Ministry of Foreign Affairs and the Office of the Commissioner of the Foreign Ministry in Macao for their long-term and strong support and assistance to the work of Macao SAR. He said that Macao SAR will spare no efforts to make the APEC Tourism Ministerial Meeting (TMM) a success, and maintain close communication and cooperation with the Ministry of Foreign Affairs in this. Zhang Yesui extended congratulations on the enormous achievements made by Macao in the past 14 years since its return to China, and said that the Ministry of Foreign Affairs will further do a good job in the Macao-related diplomatic work, promote Macao SAR's exchanges and cooperation with the outside world and create a favorable external environment for its development.